Serving the San Antonio Area for over 50 years! 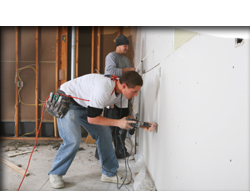 SCCI is a full-service drywall company specializing in turnkey residential, commercial and multi-family construction. Founded in 1969, SCCI has been providing San Antonio builders and remodelers with the highest-quality drywall installation and finishing services for over four decades. With a solid reputation for quality, speed and excellent customer service, we look forward to continuing that legacy for many years to come. We appreciate your interest in our services. If you would like to learn more about what we do, please take some time and explore our site and give us a call today at (210) 648-2396.